Companion planting is a wonderful way to create a healthier garden, naturally. Growing certain plants close to other plants can help to deter pests, promote pollination, and yield larger, healthier crops. Companion plants come in many forms, but today we are focusing on companion plants that also have edible flowers. 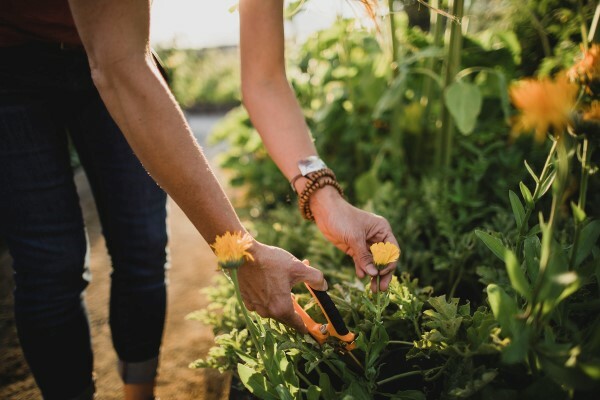 Growing edible flowers in the same bed as your veggies is a great way to promote growth through companion planting, as well as to try adding new flavors of flowers to your plate. Grow a companion planted kitchen garden this year, complete with vegetables and flowers you can eat! 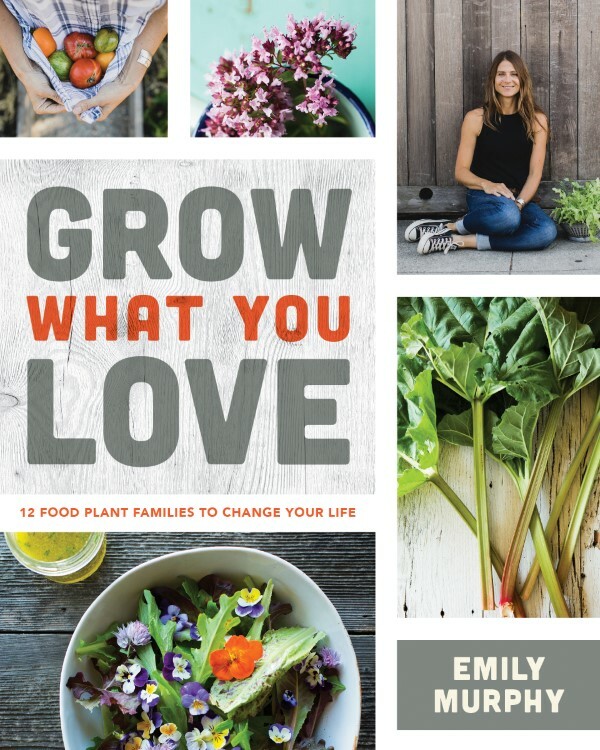 Emily Murphy, author of the fabulous Grow What You Love: 12 Food Plant Families to Change Your Life, is a seasoned companion planter with a flair for creative gardening. She’s been kind enough to share her extensive knowledge of companion plants with edible flowers with us. 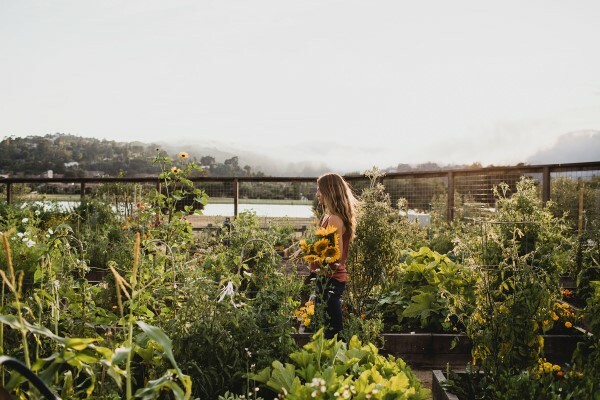 Read on to learn more about companion planting and find a list of Emily’s favorite edible companion flowers to grow interspersed with vegetables. There is more than one thing at work in a garden. Some might argue that the soil is the heart and soul of growing, but what would a garden be without flowers? With­out fragrance and color, the sound of bees, ladybug sightings or the quiet work of butterflies? And how lucky we are that there’s such a long list of edible flowers that pair well with herbs and vegetables. When you include these companion plants in your garden, they’ll help you manage pests, create pollinator havens and support the overall health of your garden — all while looking pretty in the process. Companion plants are combinations of plants that grow better together. They have a variety of roles, from repelling bad bugs and attracting good ones to mask­ing the scent of one plant with another. The benefits can also be structural. 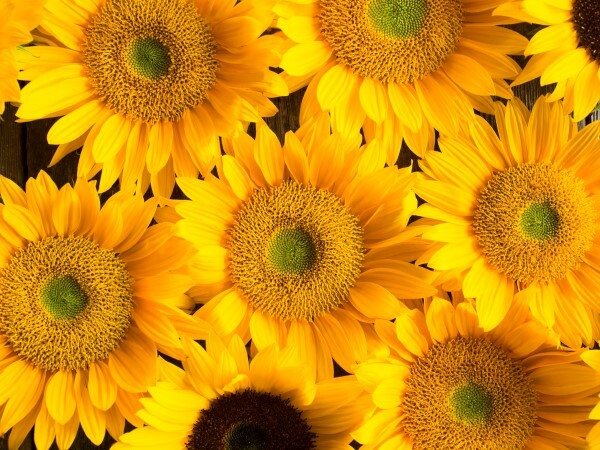 For instance, vining plants like pole beans can find support in tall, sturdy plants like sunflowers; squash can be grown to trail along at their feet, protecting soil mois­ture and preventing weeds from growing. Here are some beneficial companion plants and how to use their edible flowers. Agastache. Add to cakes, syrups and beverages for an anise taste. Arugula and other brassicas. Generally mild in flavor, they add wonderful color to salads and garnishes. Basil. Wonderful in everything, the flowers of basil can be used as you would the leaves. They’re especially good in salads or sprinkled over roasted vegetables. Bee balm. Add these sweet and spicy flowers to jellies, salads, tea, rice, or pasta. Borage. The beautiful blue star-shaped flowers taste like honey. Add them to salads, on top of cupcakes, or as a garnish for your favorite summer drink. Chamomile. This is a wonderful flower for a soothing tea. Chives. Their mild onion flavor pairs perfectly with most savory foods and dressings. Cilantro. Toss flowers over dishes as you would the leaves. Try them in tacos, on roasted veggies, or with anything in need of a fresh kick. Dill. Add dill flowers to pickles, scramble them with eggs, layer on fish, and sprinkle over potatoes and other veggies. Fava, pea and green bean flowers. Mildly sweet and vibrant, these flowers make an everyday salad come to life. Fennel. Make a fennel flower oil for braising or grilling; pair with fish, meats, greens or anything that could benefit from its natural licorice flavor. Lavender. My favorite is lavender vanilla ice cream, but lavender is also lovely in soups and other savory dishes. Lemon balm. Infuse in tea, add to dressings, or toss into roasted vegetables at the last minute. Marjoram. Milder than oregano, it makes a lovely tisane or a fragrant addition to vegetables or fish. Oregano. Use oregano flowers as you would the leaves. Sprinkle over pizza or pasta, mix into breads, or stir into butter or soups. Rosemary. Use rosemary flowers as you would its leaves in savory pastries or breads, in dressings or sauces, or sprinkled over roasted vegetables or meats. Roses. Brew into a tisane, make rose petal jam, or crystallize the petals to use in desserts. Sage. These flowers are lovely with both summer and winter squash or when mixed into dressings, vinaigrettes, or sauces. Squash. Stuff squash blossoms with cheeses and vegetables, try them in quesadillas and pasta dishes, or add them to soups. Thyme. Much like oregano, these flowers are a welcome addition to soups, breads, pasta dishes, and dressings. Add any combination of the above plants into the bed where you grow your vegetables. They will help the vegetables grow by attracting pollinators and other beneficial insects, deterring pests, improving the soil, and reducing disease. 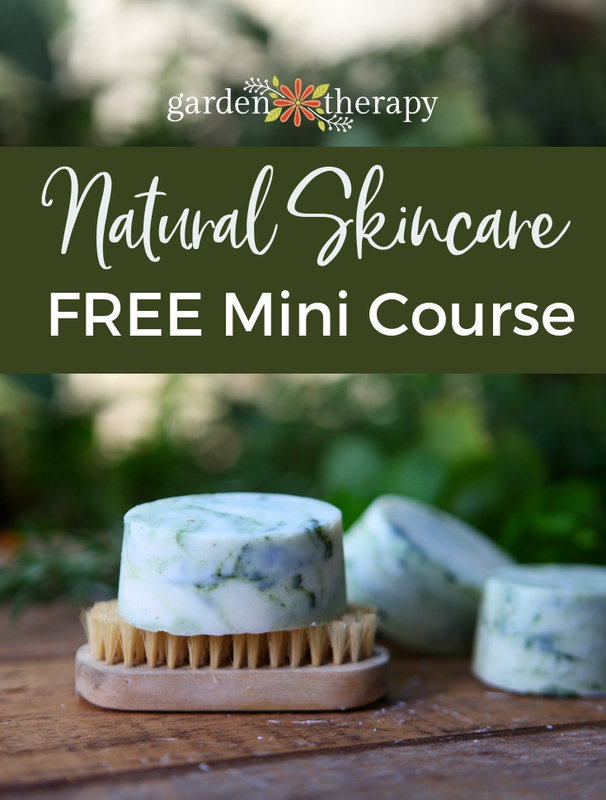 Plus, you’ll get a big harvest of delicious edible flowers along with your veggies so you can bring some new and exciting flavors to your culinary creations. 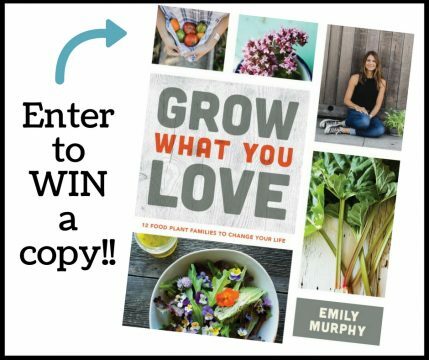 Excerpted with permission from Grow What You Love: 12 Food Plant Families to Change Your Life by Emily Murphy © 2018. Published by Firefly Books. Emily has generously offered to give away a copy of her book to a Garden Therapy reader. To enter, leave a comment telling us your favorite edible flower by June 10th, 2018. Be sure you are signed up for our newsletter to get news and special offers we don’t share anywhere else. This contest is open to residents of the continental US and Canada, except Quebec and where prohibited. 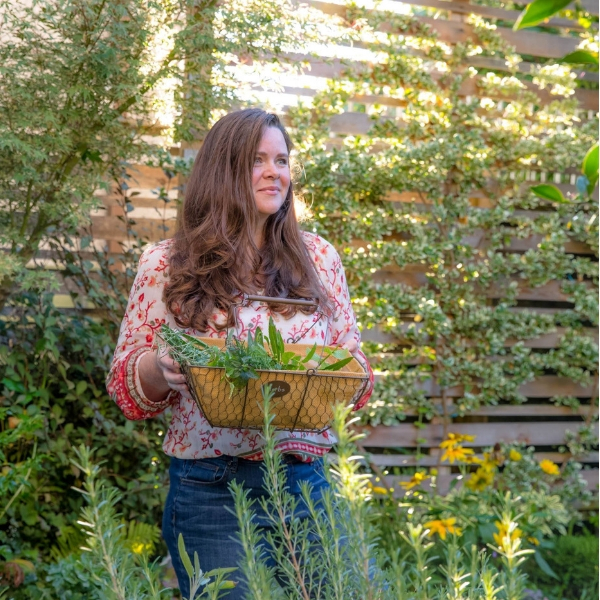 Emily Murphy is the author of the foodie-centric garden blog Pass The Pistil, and one of Garden Design Magazine‘s “most loved” blogs of 2015. 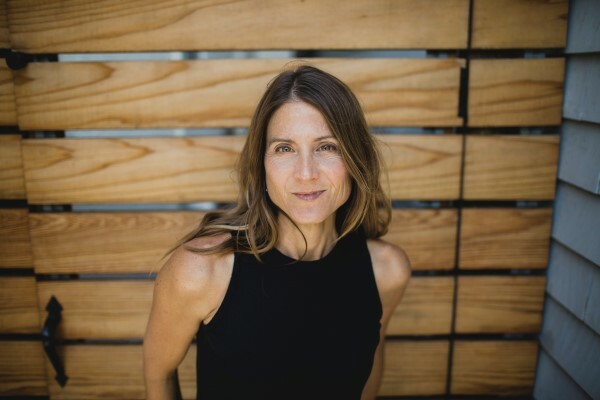 Emily is a web series host, a contributor to Better Homes and Gardens, a garden design and organic gardening consultant, and a teacher of organic gardening. Emily holds a degree in Ethnobotanical Resources from Humboldt State University where she also studied botany and environmental science. Truly, I’m not particular so can hardly choose a favorite. I like basil and chive flowers using them as eye-catching familiar seasonings. Nasturtium flowers make a delightful garnish on nasturtium potato soup. 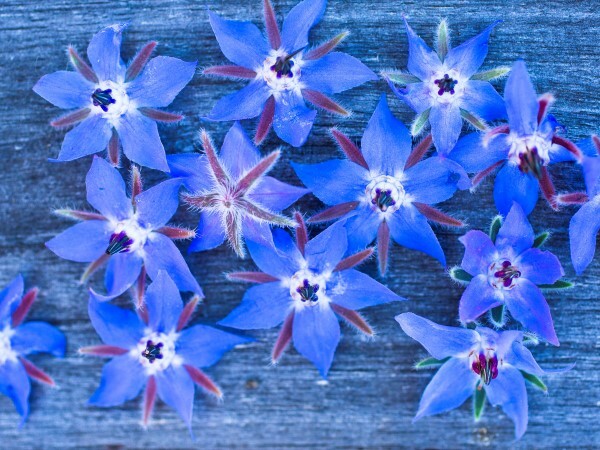 Borage flowers are so pretty they just have to be used. Others I have yet to try, but certainly hope to. I am fairly new to gardening and the only flower I have tried is is basil flowers in salads. 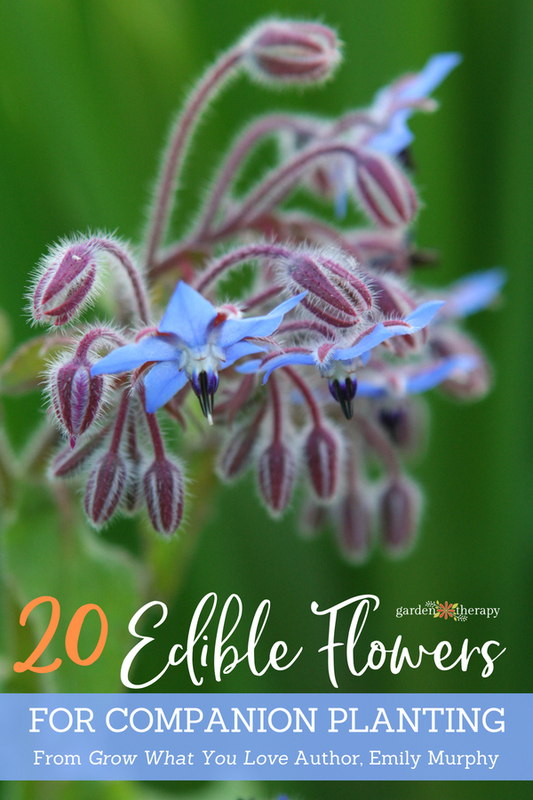 I am very curious about the others and look forward to learning more about edible flowers. Thanks for the information in your article. I have a lot of zinnias. Can I serve zinnia petals in salads?